Last year all Ukrainian airports served more than 20.5 million passengers. 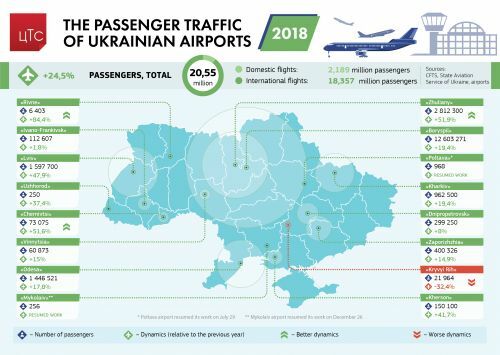 In 2018, the growth trend in passenger traffic at Ukrainian airports continued - the total passenger traffic in the country's airports amounted to 20.5455 million people. 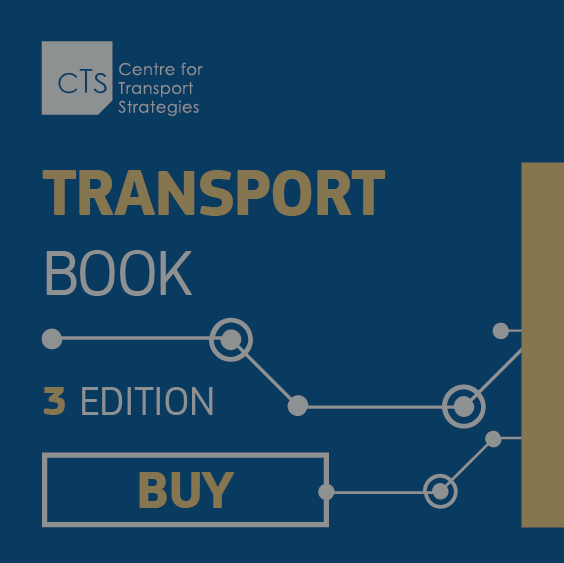 Compared with 2017, this figure increased by 24.5%. Only Kryvyi Rih airport showed negative dynamics in 2018. 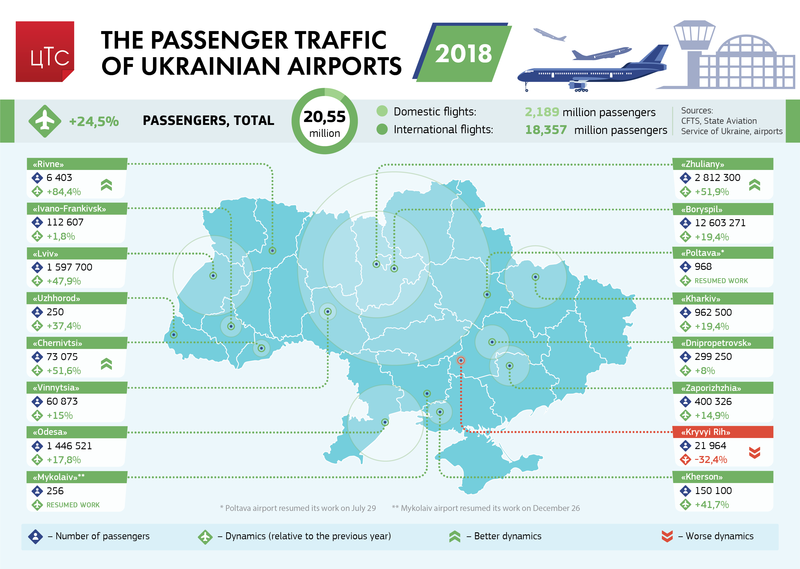 The Kyiv Sikorsky airport, Chernivtsi and Rivne airports have the best dynamics in terms of passenger traffic increase. Also Poltava and Mykolaiv airports resumed their work last year.